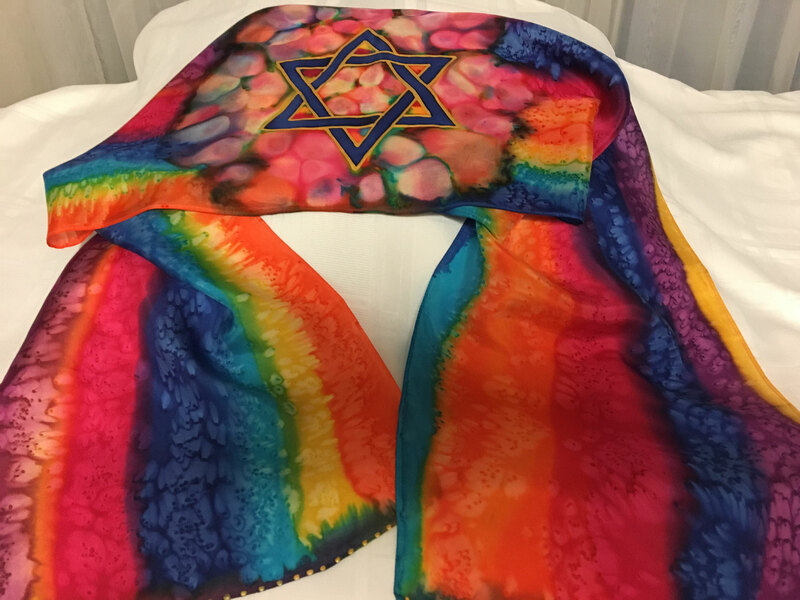 Fire Star Scarf - 3 Strand Cord Silks - Glowing Silk Flags & Billows based on the Bible, Jesus and His Church, to enhance your worship of God! 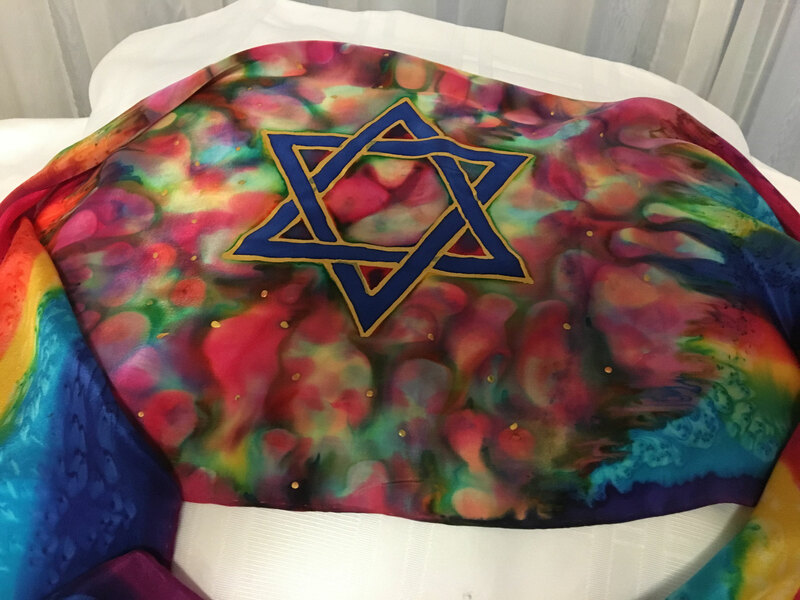 Vivid color streams from the Star of David on this stunning scarf - we guarantee that there will no two alike! This scarf comes in size large: 14" x 72", with fringe, or in the standard size 11" x 60" without fringe. 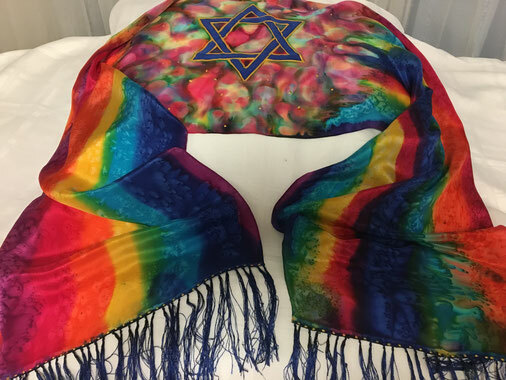 Fire Star Scarf - in standard size, 11 x 60", NO FRINGE. Fire Star Scarf - in size large, 14" x 72," fringed.